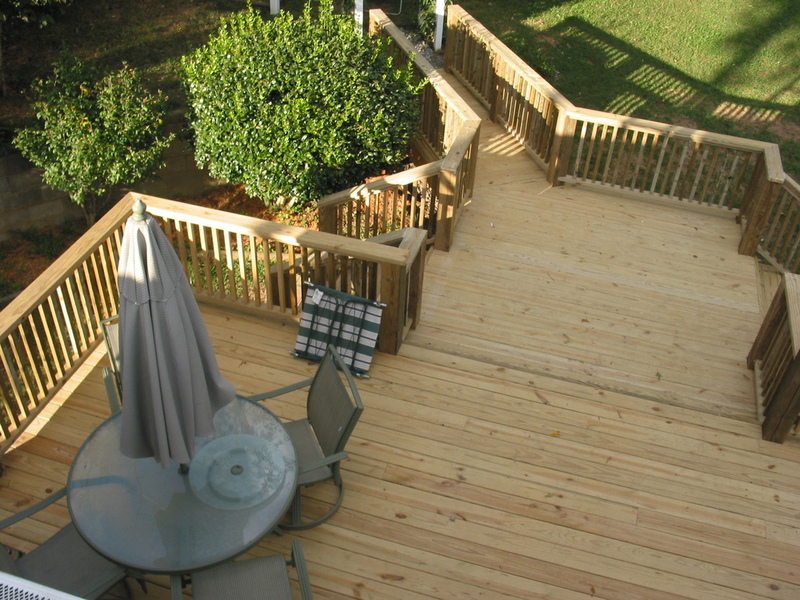 Breitzke Carpentry LLC of Asheville, North Carolina has designed and built many amazing decks in the Asheville area. 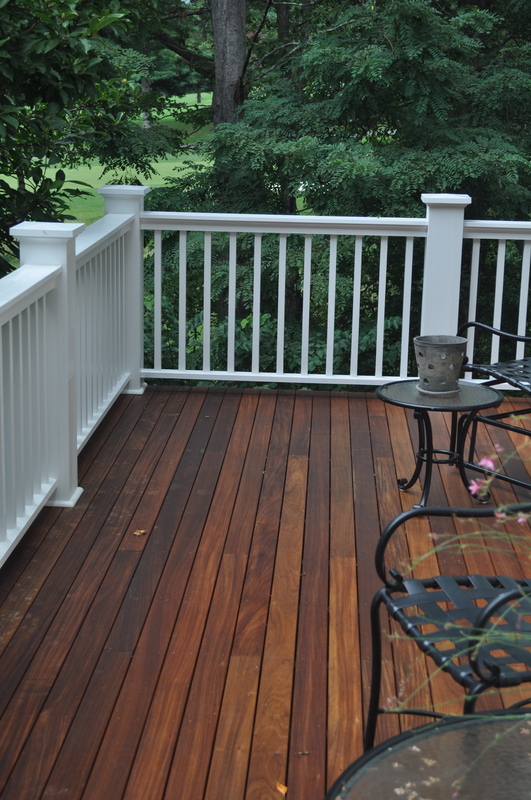 We work with many different varieties of deck materials and can suggest the right one for your project. We design and build decks site specific so every job is as unique as the people it is for. Boone/Jamison Residence, Ipe deck with stainless posts, stainless cable, and Ipe top rail. Boone/Jamison Residence, Lower Deck by outdoor fire place and pond. Boone/Jamison Residence, Detail of lower deck. 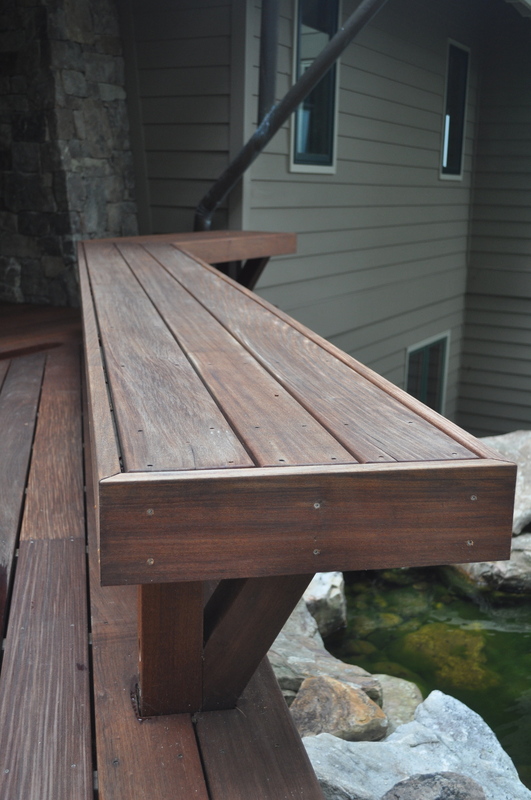 Boone/Jamison Residence, Detail of bench located on the catwalk deck that leads to front entry. 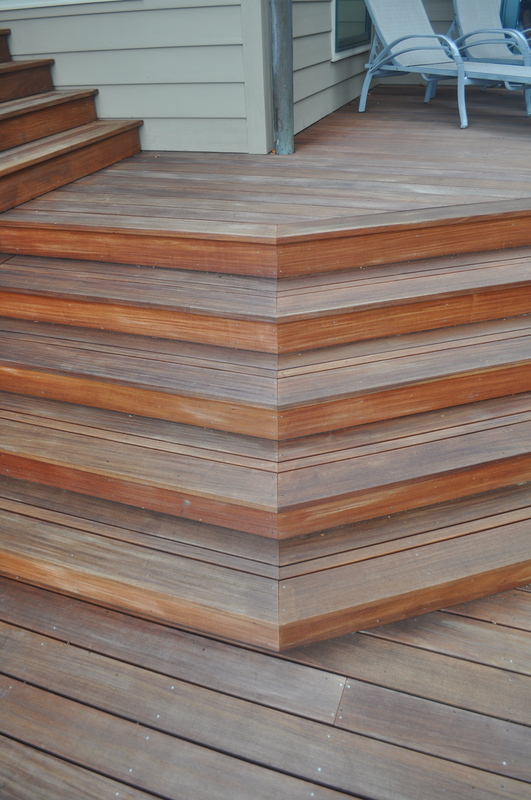 Boone/Jamison Residence, Detail of steps on rear Ipe deck. Haas Residence, Beautiful tigerwood deck that was built to flow seamlessly with existing house and trim details. Haas Residence, Detail of Tigerwood steps and handrail. Haas Residence, Spectacular views, and detail of Tigerwood Deck and handrail. Sofa Rock Residence, Covered front porch with tongue and groove ipe flooring and custom metalwork on railings and supports for for roof. Sofa Rock Residence, Covered side porch with tongue and groove Ipe flooring. Sofa Rock Residence, Detail of metal brackets on front porch. Sofa Rock Residence, Detail of ceiling over front porch. 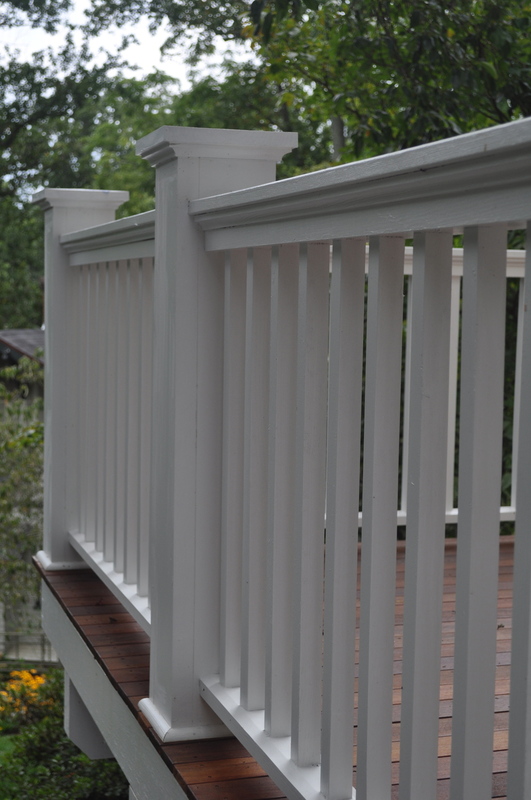 Historic 1920's Bungalow, 1x4 Ipe deck with handrail to match the style of the house. Historic 1920's Bungalow, Detail of handrail. 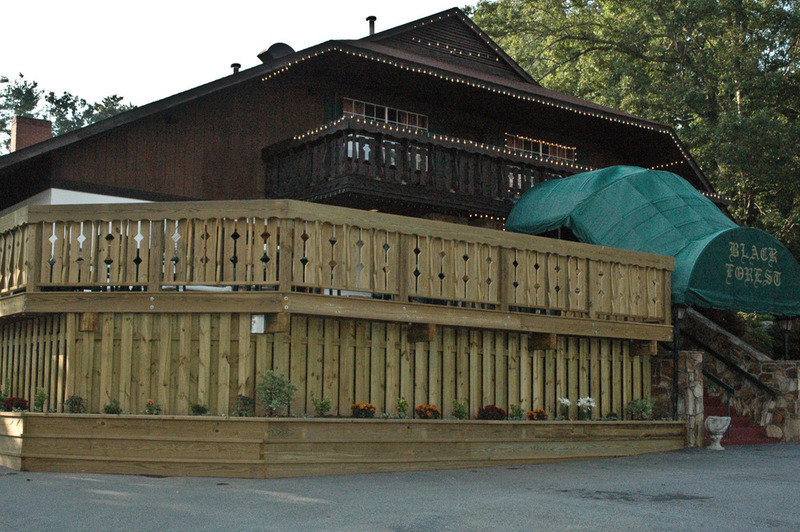 Black Forest Restaurant Asheville, Deck built to match existing details from original building. Olson Residence, Detail of multi-level stairway. Ranson Residence, Multi-level deck with catwalk that extends to garden area. Ranson Residence, Detail of raised seating area. 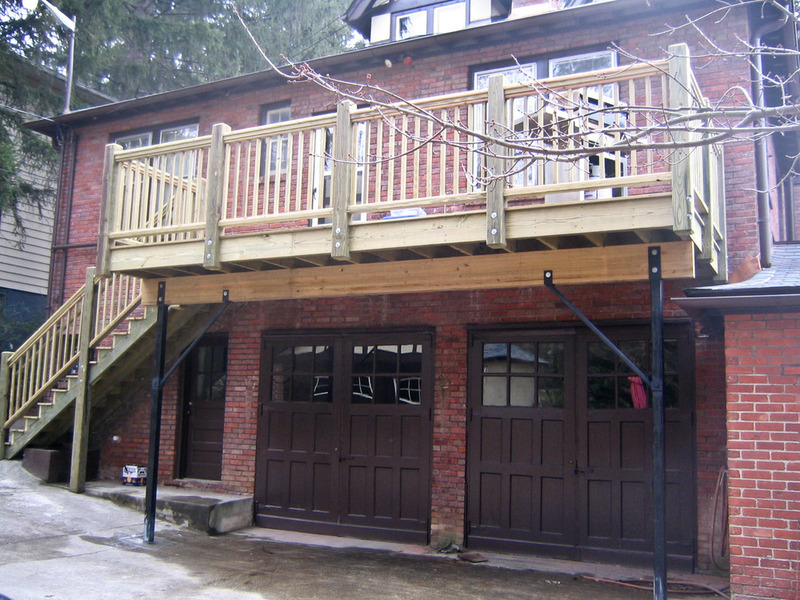 Breitzke Carpentry LLC of Asheville, North Carolina has a tremendous amount of experience with decks of all kinds and materials. Give us a call today so we can start working with you to design your outdoor dream space. We offer a turn key experience so you don't have to worry about a thing. We serve Asheville and the surrounding areas, such as, Weaverville, Hendersonville, Arden, Fletcher, Black Mountain, Swannanoa, Mars Hill, Marshall, and Woodfin.